If the gospel doesn’t shape you, you’ve never experienced the gospel. One of the most unique things about the gospel is that it doesn’t just transform individuals, but it transforms individuals into a community of people shaped by the gospel. That’s what Titus is all about. Often times, people overlook this letter because it is a pastoral letter from Paul to his “true child in the faith,” Titus (1:4). But in reality, it’s not just a personal pastor letter from a concerned Paul to a young Titus. It’s a rich, theological letter, full of implications for what it means to be shaped by the gospel. Paul describes various people that make up this new community, and how they should be shaped by the gospel: Elders (1:5-16); Older men (2:2); Older women and younger women (2:3-5); Young men (2:6); Servants (2:9); and all of God’s people (2:11-14). We will study through Paul’s letter to Titus to see how people shaped by the gospel are called to live. I am excited about the spiritual growth and discussion that this sermon series will bring about. Revelation. Some people study this daunting book of the Bible with unreasonable skepticism, others stay completely away from it because of its unusual literary type. But even amid Revelation’s difficult symbolic language, and despite all the scholarly skepticism that surrounds it, Revelation is highly practical (as all of the Bible is). 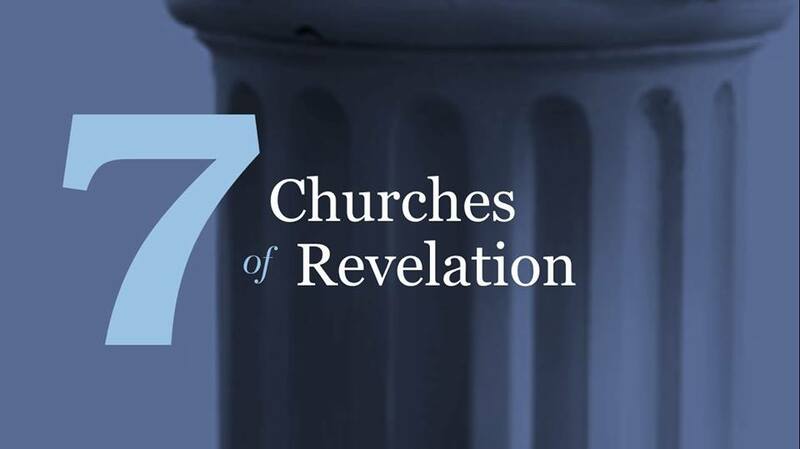 One of the most practical sections of Revelation is an outstanding section on the 7 Churches of Revelation. Now if you’ve read Revelation before, you easily recognize that there are seven-fold series (seven seals, seven trumpets, seven bowls, etc. ), and the first seven-fold series consists of the seven churches. In this section, Jesus Himself gives a diagnosis of each church, with both positive and negative elements. These were churches that were existent at the time when Revelation was written, and we must reflect on what characteristics we should have as Jesus’ church, and what characteristics we shouldn’t have as Jesus’ church. 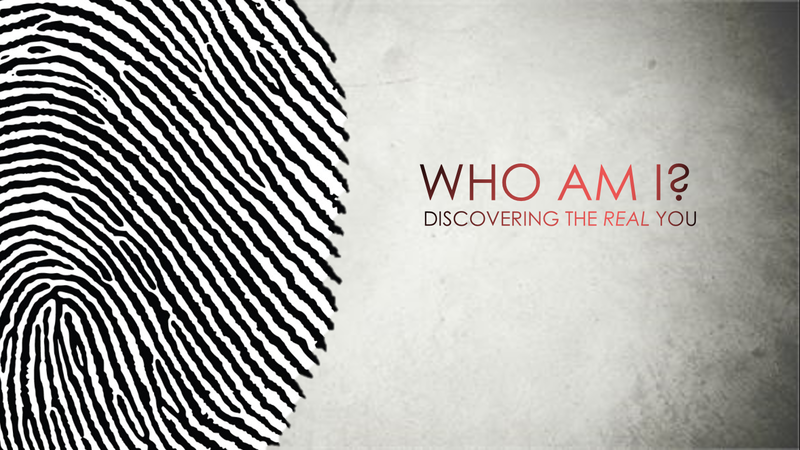 This is going to be an expositional study of Revelation 1:1-3:22.
Who are you? The answer to that question says everything about you. In our culture today, we allow so many things to define who we are. But what about who God says we are? Isn’t that infinitely more important? This study examines Ephesians 1:3-14 and looks at what God says about us as His people. No one can define who you are but God alone through what He’s accomplished through Christ. We need to know about our origins. . . period. Everything else in the world is dependent on answering the question, “Where did we come from?” Looking at the first chapters of Genesis, we will learn how to defend the Genesis account of creation, looking at Genesis literally and expositionally. 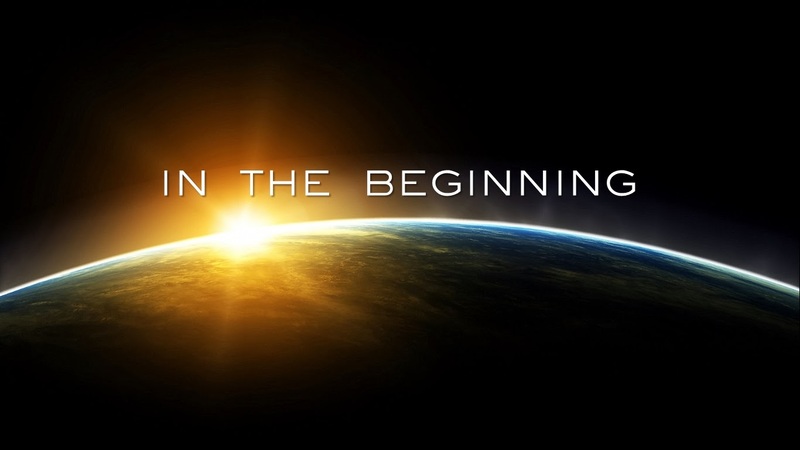 We will learn about the creation of the world, the creation of man, and the origin of sin. Your knowledge of origins will far exceed what it was before. I had tried to do this Bible study earlier this year, but couldn’t find a spot to slot it in, so I am going to aim for it again this year. You can keep up with these upcoming Bible studies right here on Brandon’s Desk. I look forward to what God is going to do during these expositions of His Word. Jesus read the Bible. Have you considered this fact before? When you think of the earthly ministry and life of Jesus, you probably think of His teachings and miracles—and you likely haven’t reflected on the fact that Jesus read the Scriptures. We can safely assume that Jesus was faithfully taught the Scriptures by Mary and Joseph as He “increased in wisdom and in stature and in favor with God and man.” (Luke 2:52). Also, it was Jesus’ custom to attend temple worship and read the Scriptures (Luke 4:26). And clearly Jesus read the Bible if He taught His disciples all about it (Luke 24:27). Today, in seminary and Bible college classes, it is not unusual to be assigned a book on the survey of the Old Testament. While there are many great textbooks available for surveying the Old Testament, this book focuses distinctly on Jesus’ version of the Old Testament. Isn’t that the one we should be studying? Of course, Jesus read the same Old Testament that we have today, but it was organized in a different order. Considering that fact, our study of the survey of the Old Testament should conform to the order in which it was originally organized. That’s one of the many things that this textbook accomplishes. This is not your ordinary Bible survey textbook. Not only does it focus on the Bible that Jesus Himself used, but it focuses on what really mattered to the authors of the many books of the Old Testament. What did they really care about? What was near to their hearts? DeRouchie answers these questions and more in his marvelous work, What the Old Testament Authors Really Cared About: A Survey of Jesus’ Bible. Each chapter is broken down into a manageable and easy-to-read way. First, each chapter begins with some introductory information about the Old Testament book(s) that will be discussed within that chapter. In only a few paragraphs, organized neatly on the page, the author answers the basic fundamental questions of purpose, authorship, and date by asking Who? When? Where? , and Why? Second, each chapter of the book begins with a section titled, “Carefully Crafted Verses from (the Book(s) Being Studied).” Found in this section are powerfully packed verses found in the book that is being surveyed. There is also a helpful chart on the first page of every chapter with bullet points that summarize the theological convictions that lay behind the author’s pen of every book in the Old Testament. These theological convictions are then unpacked in detail throughout the rest of the chapter in individual sections. Also, pasted throughout the chapters of the book, there are striking historical images pertaining to the culture, practices, and history of that particular book being surveyed. Similarly, there are small text boxes scattered throughout the chapters that offer insightful reflections on the concepts being discussed. Additionally there are charts that provide good visual aids to capture the outline of the book(s), the chronology of certain events, and more. The chapters usually end with a summary of the concepts discussed in that chapter. That is followed by a “Key Words and Concepts” section that identifies some of the important terms and ideas discussed in the chapter. Finally, the chapter concludes with a suggested reading section that displays the names of commentaries, scholarly works, and other books that will help with studying the particular book(s) discussed in that chapter. There are many strengths within this book, and it is safe to say that there are far more strengths to this work than there are weaknesses. First of all, one strength to this book is the range of scholarship employed. This theological survey of the Old Testament was not compiled DeRouchie himself or a few other authors. This book was compiled by seventeen scholars and professors of the Old Testament from some of the world’s leading seminaries and Bible colleges. Another great strength in this book is its visual aids. Everyone can benefit through the visual aids in DeRouchie’s book. The charts and icons that are found throughout this book help the reader to grasp the concepts that are being discussed. While the visual aids are descriptive and informatory, some of the charts could be expounded on a little better. Some of the figures (like on pages 182-183, and 236) are in need of better explanation. This book is intended to be a simple, practical help for students and some further explanation on some charts and figures would serve to that purpose. Also, study or reflection questions at the end of each chapter probably wouldn’t hurt. I understand that this book isn’t written as a normal theological survey of the Old Testament, but regardless a few questions to test your knowledge would aid the student—and that is lacking from DeRouchie’s book. What the Old Testament Authors Really Cared About is the most manageable, user-friendly survey of the Old Testament that a student or layperson can read. The various authors will cause you to ponder on the greatness of God’s glory revealed in the Old Testament for the good and satisfaction of His people. With the compelling visuals, clearly outlined theological concepts, and the other great resources offered in this book—you will find yourself soaking in the rich theology of the Old Testament. Still, the paramount concept that sets this survey apart from hundreds of others is that it is a survey of Jesus’ Bible—and if this book is read correctly, your mind will be informed and you will be drawn closer to the glorious God of the Old Testament. You can purchase What the Old Testament Authors Really Cared About on Amazon for $34.78 today.